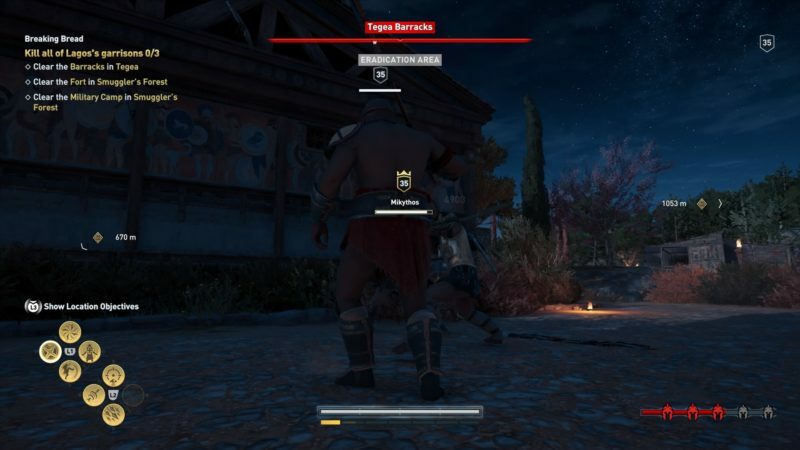 Breaking Bread is a support quest in Assassin’s Creed Odyssey for Judge, Jury, Executioner. Your task is to kill all of Lagos’ garrison inside three different forts or camps. 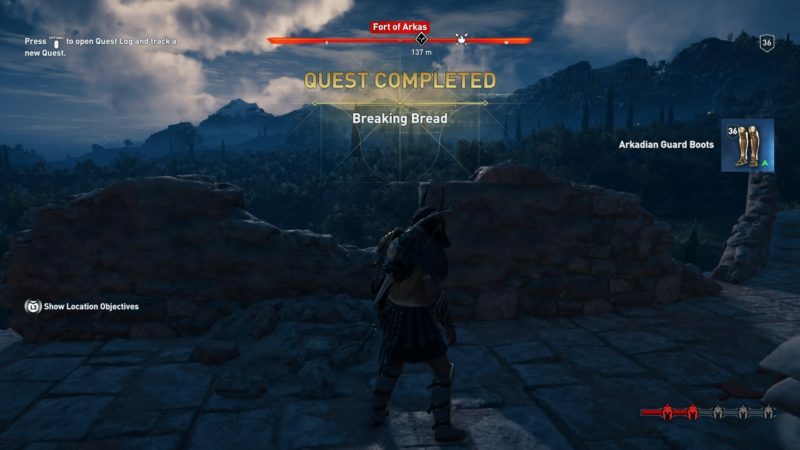 Here’s a walkthrough of Breaking Bread in AC Odyssey. This quest is recommended for level 35 but it may differ according to your character’s level. 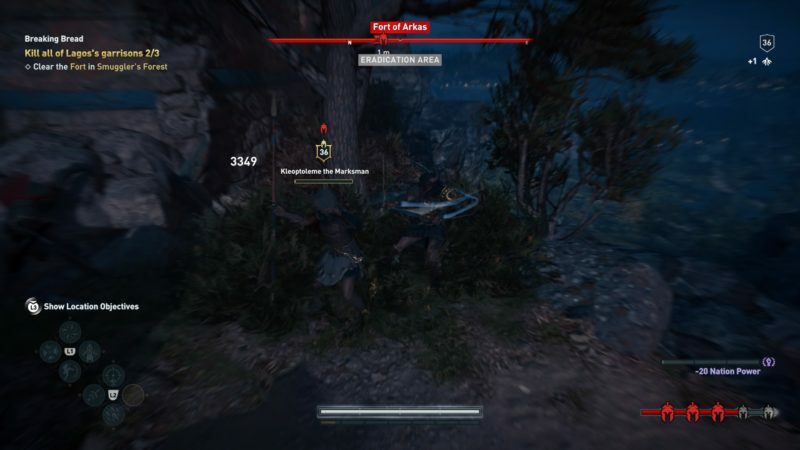 Your objective is to kill all of the soldiers in each of the three enemy camps. 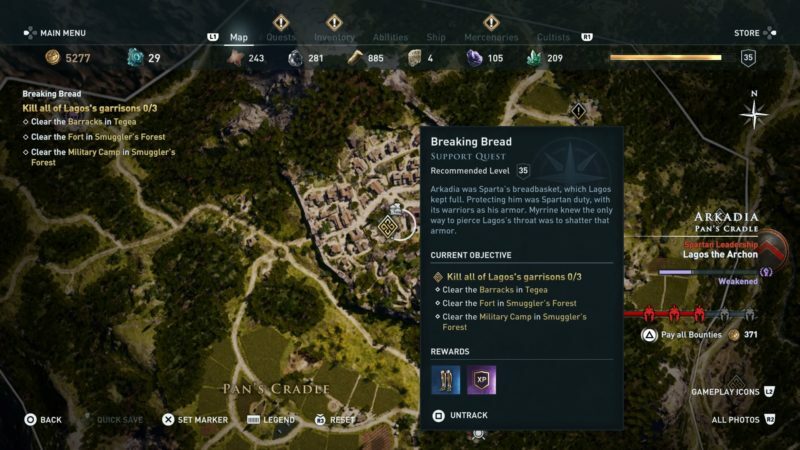 For the barracks, the exact location is shown in the map below. 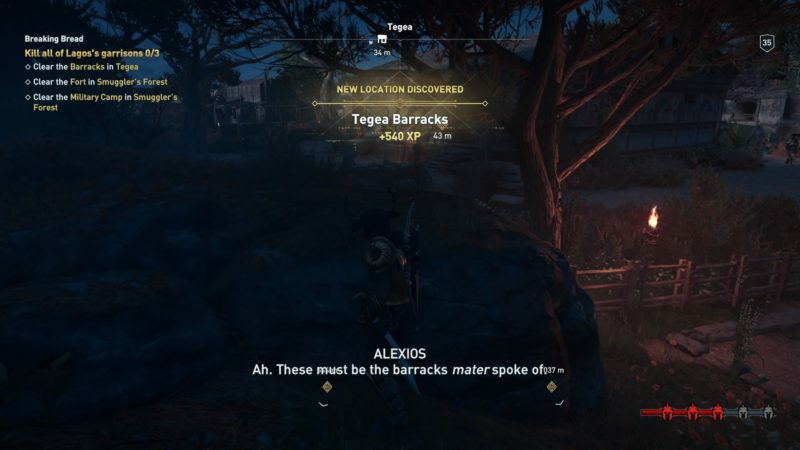 The Tegea Barracks is one of the easiest bases among the three. There are only a few soldiers inside the barracks, and one captain or polemarch. 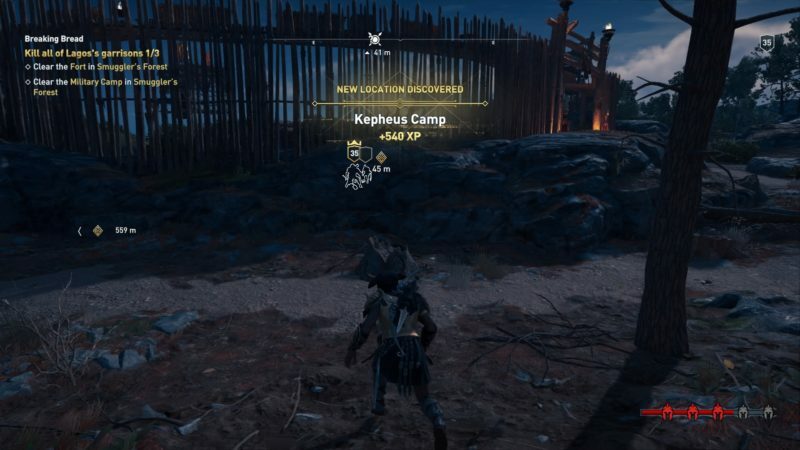 For the second location, the closest is the Kepheus Camp. The exact location is shown in the map below. It’s inside the Smuggler’s Forest. 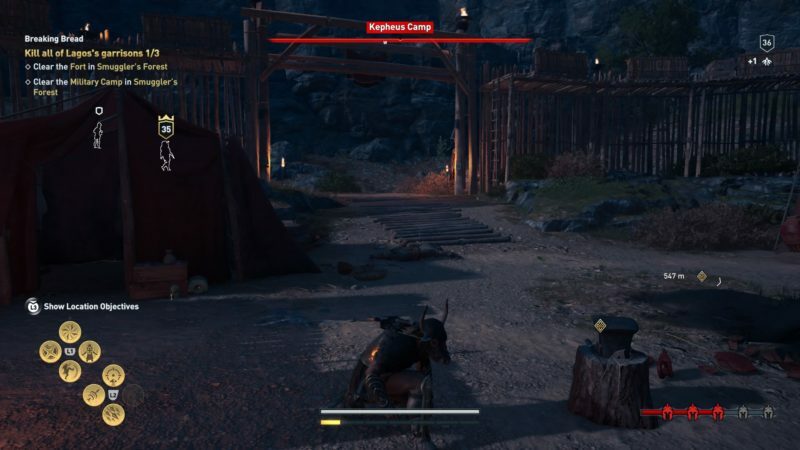 Kepheus Camp is also pretty barren and only has a couple of soldiers to kill. 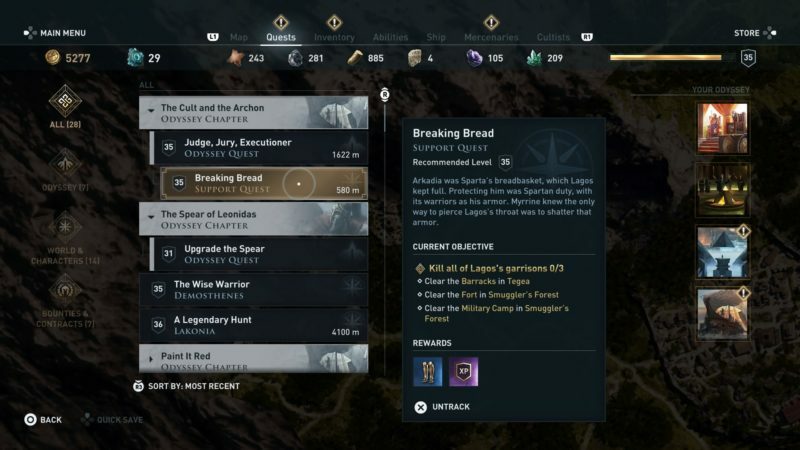 The hardest part of the quest is the mercenaries. As you get a three-head bounty automatically (and you can’t erase it), a couple of bounty hunters will come and find you. 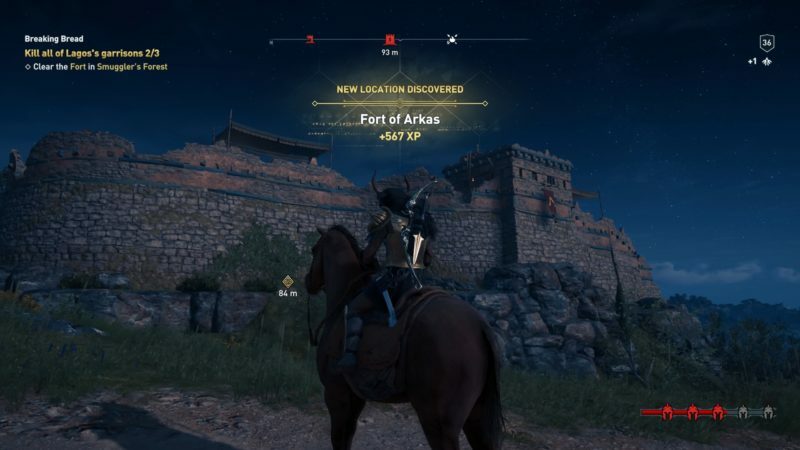 The hardest of all three is the Fort of Arkas, which is also the farthest. 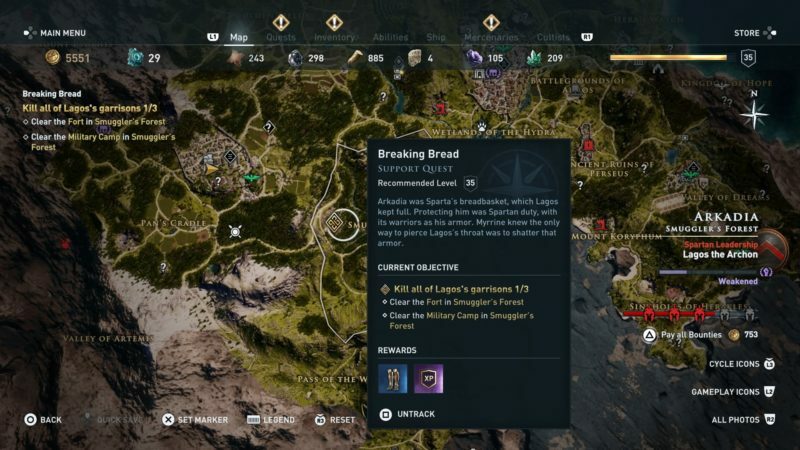 You can find the fort in the exact location shown in the map below. Obviously, the fort is the most well-guarded among all three. 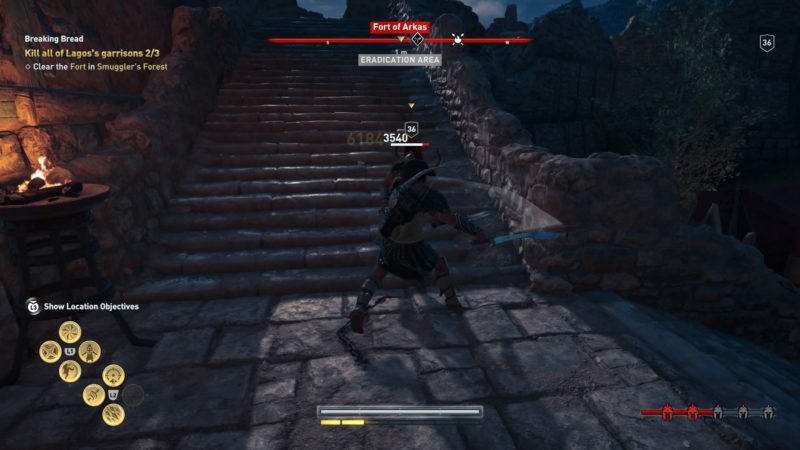 There’ll be plenty of guards to clear, but is easily doable if you’ve reached the recommended level. 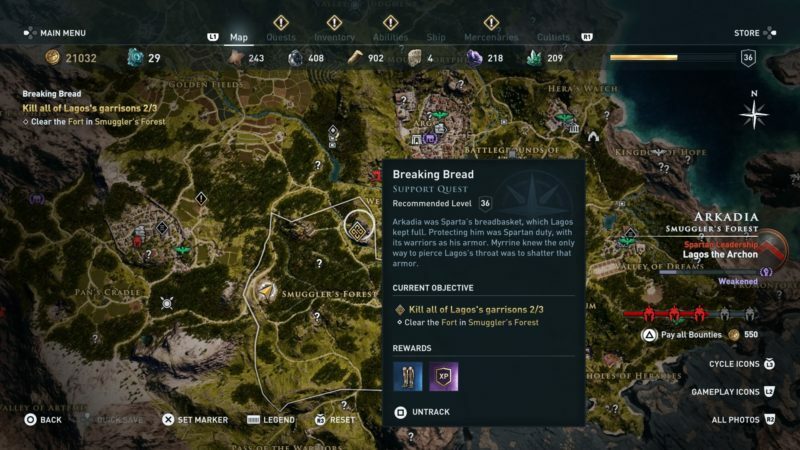 This place also has more location objectives if you choose to do it. You’ll probably have to battle the polemarch, captains and some mercenaries here. And that’s it for the quest. Once you’ve cleared all three bases, you’re done. 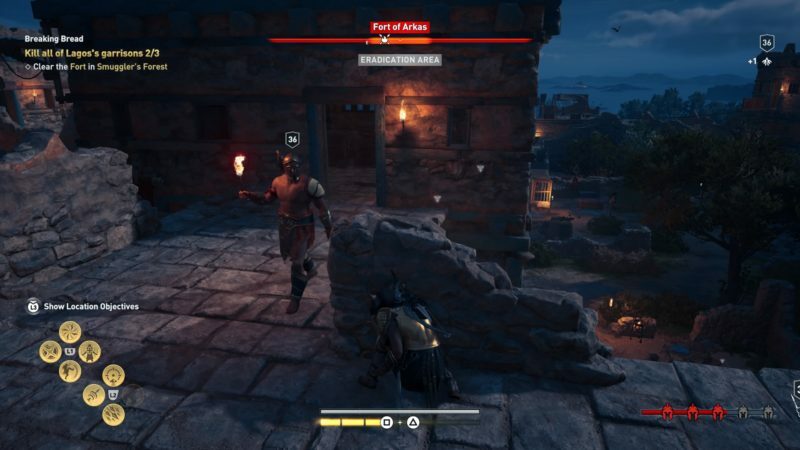 You can then proceed to kill Lagos who is hiding in another fort.